The 5th Irish Symposium on Game-Based Learning (iGBL2015) will be held at IADT on 4th and 5th June 2015. There will be presentations and workshops from a wide range of topics related to the use of games and game-based approaches for formal and informal learning. Teachers/developers/researchers who are interested in presenting and sharing their experience of using games to instruct, are welcome to submit an abstract for a presentation, a poster, or a workshop, on or before Wednesday 22nd April, using the online submission system. 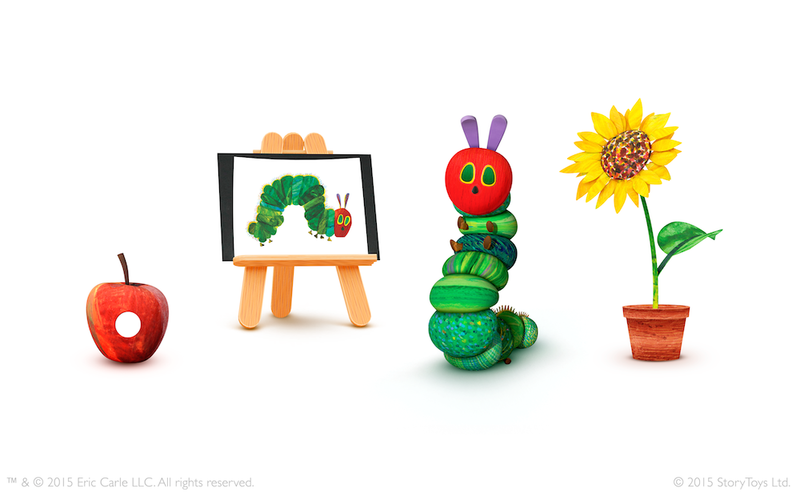 StoryToys, based in Dublin, have been awarded the prestigious Bologna Ragazzi Digital Award 2015 for ‘My Very Hungry Caterpillar’, an app for children based on the work of renowned illustrator and author Eric Carle. Headquartered in Dublin, Ireland, StoryToys creates and publishes highly innovative and entertaining software for children including interactive books and games. The ICT in Education conference will take place on the Thurles campus of LIT on Saturday 25th April. The theme for this year’s conference is ‘Make, Bake, Take’. The theme places an emphasis on creativity and a series of presentations and workshops will showcase how technology can be used effectively to foster and facilitate creativity in the classroom. Keynote presentations will be delivered by Dr. Steve Bunce, Mary Loftus, Stephen Howell and Paul Hopkins. A range of break-out sessions will see presentations and hands-on workshops delivered by practicising teachers across primary, secondary and third level education. These sessions will cover a diverse range of topics such as Minecraft in the Science classroom, Digital Protfolios. Virtualisation, computer Games in the new Junior Cycle, Langauge and Technologym the Effective use of Images and Video in the classroom and Developing Digital Literacies. Full details of the programme and online registration can be found at http://lit.ie/ictedu. A Maker Meet will be held on Friday 24th from 7-9 pm. This will be an informal pre-conference opener which promises to be a fun filled evening of making, sharing and learning with a hint of challenge and competition for good measure! Early bird registration is currently open and will close this Monday 13th April, the early bird rate is €40 with a special ‘Bring a Buddy’ rate of €70 for two. A student/unwaged rate of €20 is also available. Registration for the Maker Meet is also open at a rate of €10. A number of the following short courses may be relevant to readers here.